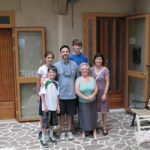 We provide trusted personalized family research services and genealogy tours to Abruzzo to discover your family history. Let us trace your family tree for you! Wouldn’t you like to see your grandfather or great grandfather’s old house? 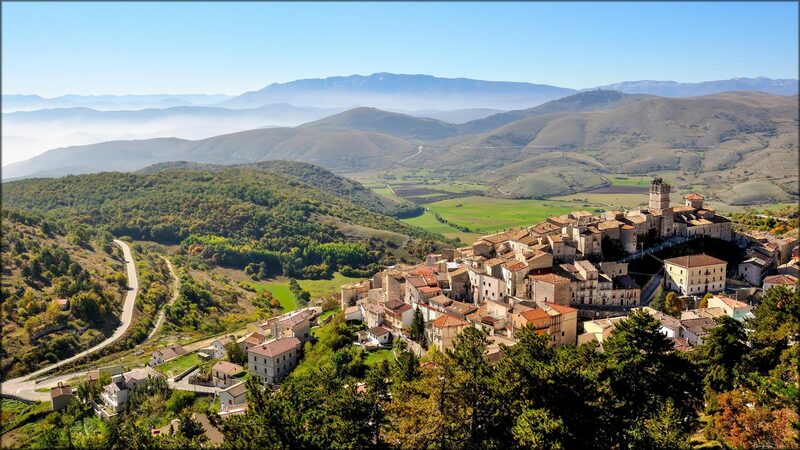 We facilitate the opportunity for people that have never come to Abruzzo, don’t speak the language well or at all and are hesitant to come to Abruzzo because they are concerned of what they might find in this region. 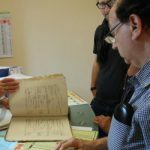 Making it official with a certified family tree is a nice start, but what we love to do is reconnect the second or third generation Abruzzese to the old world and to their origins. Wouldn’t you like to see the old house of your grandfather or great grandfather? Or try to imagine their lifestyle in the old world, walking the same roads, looking at the same mountains, fishing in the same sea or eating the same vegetables that your ancestors did? It’s a once in a lifetime experience and we’d like to make it a memorable one for you. 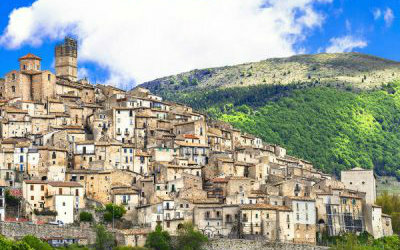 For so many emigrants around the world, coming back to Abruzzo to find living relatives or long-lost family friends or properties is just a dream. We can make this dream your reality. Trace your lineage in person, alongside one of our personal guides who will help you weed through documents, translate old records, and find your connections. There is a new world to be discovered when you come and visit what your parents may have called the “old world“. We will take you to your ancestral town, give you a guided tour and try to meet relatives as time allows. You have an English speaking guide, a genealogy expert and car service, all in one! We’ll go to the city hall, provide the official documents to create a family tree and apply for Dual citizenship. 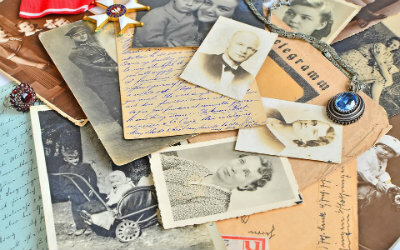 We’ll dig in the archives and find original documents of your parentage. Before you come, we will pay a visit to the town, do all the research for you, make sure we find all the documents, do all the back office work, investigate if there are any relatives that we can meet. Do you want to be an Abruzzo Ambassador? It’s easy! 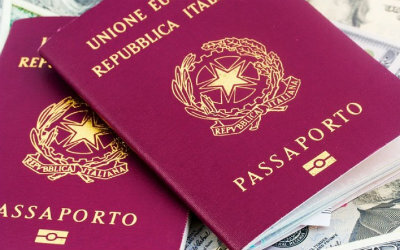 Just participate at any event at Abruzzo Cibus Culinary tours, whether it is a genealogy tour or a 7 day tour and you will receive the Abruzzo Passport. 2. You get a large discount on specialty products such as truffle salts, gourmet pasta and more. 3. 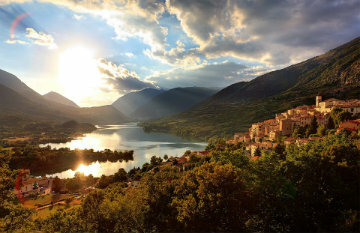 As a group leader you can get a free trip to Abruzzo. 4. Last but not least, you have the chance to be involved, at a very large discount, in our very first co-ownership of real estate in Abruzzo. It’s a new concept of time-share that we are developing and you could be the first in line to get the special benefits and perks. Abruzzo Cibus did a fabulous job of taking us to Corropoli, the town that my grandparents left at the beginning of the 20th century. We had a driver who is fluent in English and who stayed with us for the entire trip. He took us to the city hall and helped us find my great-grandparents’ birth certificates. After providing us with a walking tour of the town center, he took us to the cemetery where we were able to locate the graves of several relatives. We are extremely pleased with our experience and highly recommend this service to anyone who wants to trace family roots in Abruzzo! 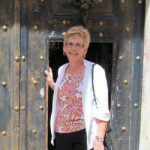 I would highly recommend Abruzzo Cibus for your genealogy tour. The purpose of my trip to Italy was to connect with the culture of my heritage. Abruzzo Cibus did that in a very personal way. Jerry, my personal driver acted as my interpreter as he drove me to the town of Lanciano where my grandfather was born. He took me to areas that the normal tourist would never see included with stories about the area and its people. The highlight was looking at the records to find my grandfather. It was an experience that I will always cherish! My wife and I visited with our 3 teenage children. My grandparents came from Abruzzo 90 years ago and we really wanted to see where they grew up and experience what it was like and find out if we had any remaining relatives there. We had the adventure of our lives, like a treasure hunt, tracking down our family heritage in a village about an hour away from the Palazzo Tour d’Eau. You cannot put a price on this service and the day we had!